Watch full RWBY Season 4 Episode 10 full HD online. 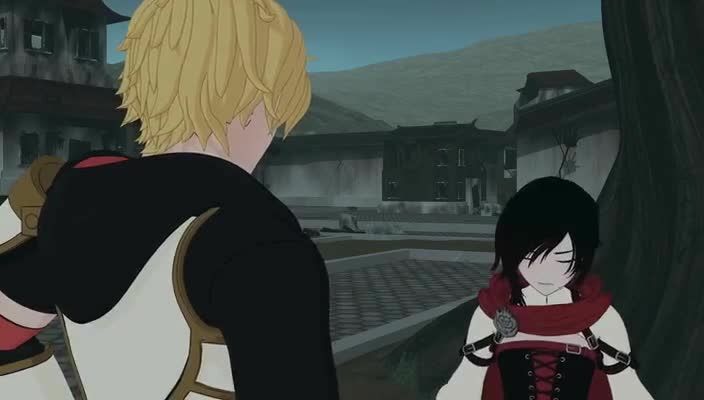 Cartoon video RWBY Episode 50 online for free in HD. Oscar still has problems dealing with the changes within him, but nonetheless leaves his aunt’s farm. He reaches a train station, where he has a brief encounter with Hazel. Ozpin alerts Oscar that Hazel is someone from his past of whom he should be wary of. However, Hazel doesn’t seem to notice who the boy is and walks away.